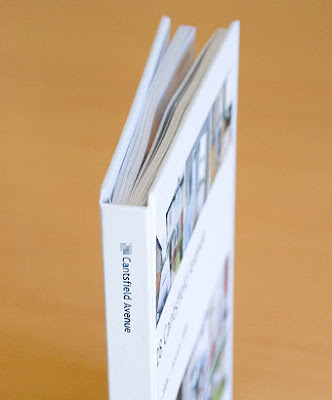 I'd heard about Blurb books before. 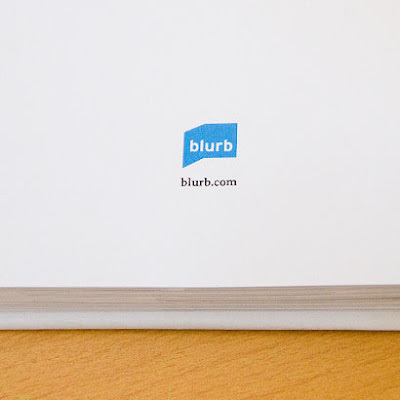 I'd seen them used for photography clients (and in fact I'd created similar books but not through Blurb) and I'd heard that you can "slurp" your blog into a Blurb book. But then one day it finally clicked in my head - instant photo album! 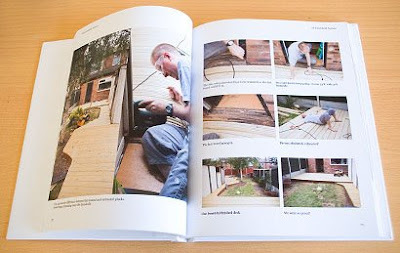 So I visited the site, downloaded the free software and set about creating my own book. 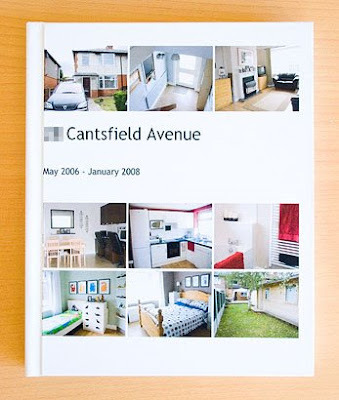 We'd lived in our previous home in Cantsfield Avenue for 19 months and completely renovated the house during that time. I wanted to record the process somehow but scrapbooking it all was completely overwhelming (in terms of time and cost) and a simple photo album didn't leave room to tell the story (plus the cost of printing all of the pictures was daunting). 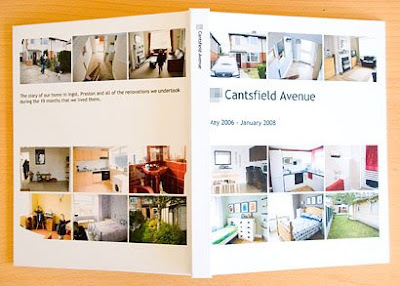 So I decided that for my first Blurb book I'd tell the story of Cantsfield Avenue. 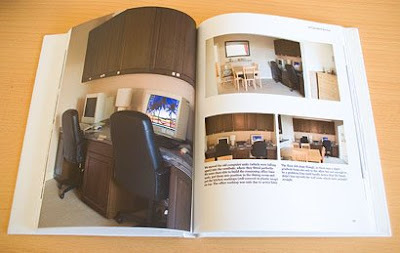 (I've blurred the house number on the book for safety as we still own the house and have friends renting it from us). I spent a few hours on and off building the book in Blurb's free software. There are dozens of layouts to choose from, for pictures and for text. I chose which template I wanted to use for each page, dragged the pics in and added text (that luckily I had recorded on my blog). When I was done, I'd created a book that was 8x10 inches in size (I chose this size because I wanted the book to fit easily onto a standard shelf - the other sizes available are 7x7 and 14x11) and 196 pages long. There are three options: softcover (cheapest), hardcover with a dust jacket (middle) and hardcover with image wrap (most expensive) - I chose hardcover with image wrap. The book cost me £37.89 (that's around $75). Not bad for 19 months worth of photographs and story telling. 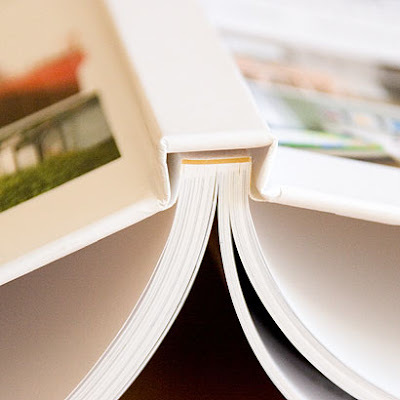 Think of how much more it would have cost to have each and every photograph printed and how much more time it would have taken to write all the journaling into another kind of album. Examples of some of the pages - you can add as much or as little text as you like. On the next to last page is the little Blurb logo but it's unobtrusive. 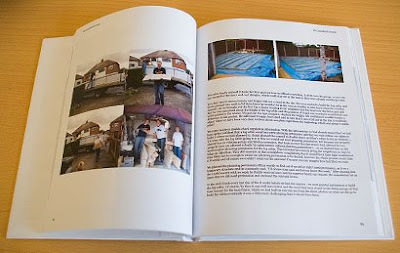 I am thrilled with our book - the quality is great, the price is not too bad, considering. (It's probably cheaper to order if you live in the US as you won't pay for international shipping.) I plan to make an 8x10 inch book of each year of family snaps, seperated into chapters - one for each month. 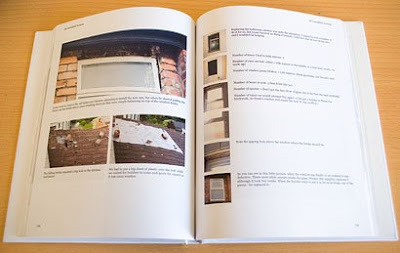 I can build the book as the year goes by, and then it's a one-off cost and voila, an entire album in one go. Magic. Click here to order yours.